University Press, National Chiao Tung University, 2005. 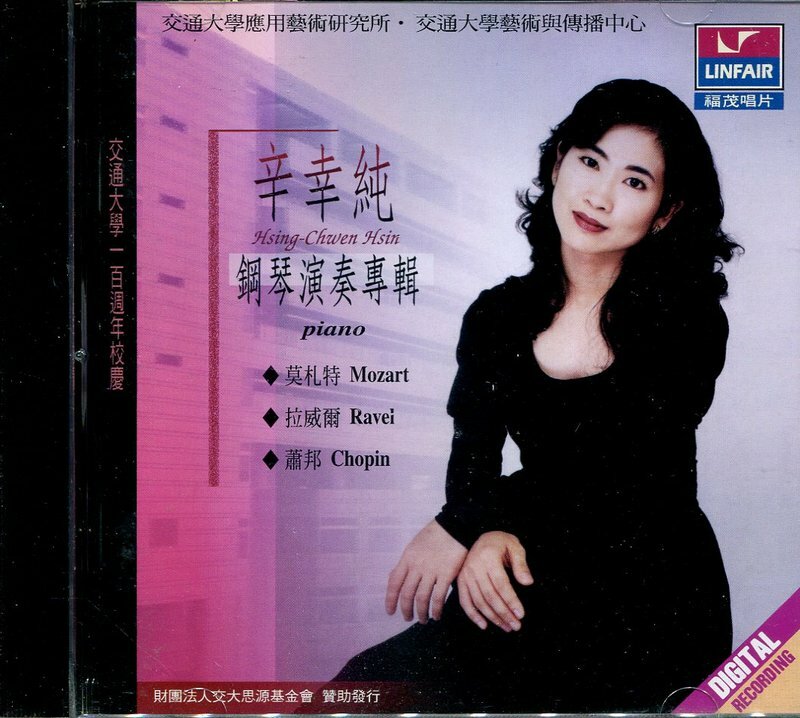 Hsing-Chwen Hsin Plays Mozart, Ravel and Chopin Linfair (Decca of Taiwan), 1996. From Bach and Mozart to Chopin: A Retrospective Chopin Approach. National Chiao Tung University Press, 2005. Chopin’s Orchestration: Studies on the Rondo Krakowiak, Op. 14. Doctoral essay, State University of New York, Stony Brook, 1993. Structural Unity in Beethoven’s Hammerklavier Sonata, Op. 106. Doctoral essay, State University of New York, Stony Brook, 1993. Problems of Performance Practice in Roy Harris Piano Sonata, Op. 1. M.F.A. Thesis, University of California, Los Angeles, 1990.